If you are looking for somebody to write superb articles, blog posts, magazine and newspaper content, reports or eBooks on the pressing social media issues of the day, you have come to the right place. 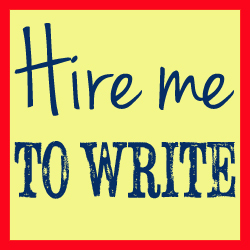 My writing is tailored exactly to your needs and is relevant to your brand and your customers. It will be targeted specifically to appeal to your readership. My specialist social media knowledge means that, after discussing with you what your requirements are, I can be relied upon to create unique, compelling and informative copy which you can use as an e-course or on your website, newsletters or blog. Get in touch right away to find out more, ask any questions or concerns you may have, and to order some work.